You cannot create the future unless you know what has preceded. Thus, in order for someone to understand the concept of LOOM% and the way in which it is being transfigured into art, they have to take into consideration the main characteristics of the culture of weaving. A culture that dates back thousands of years and that has evolved and survived throughout the years, like a living organism. 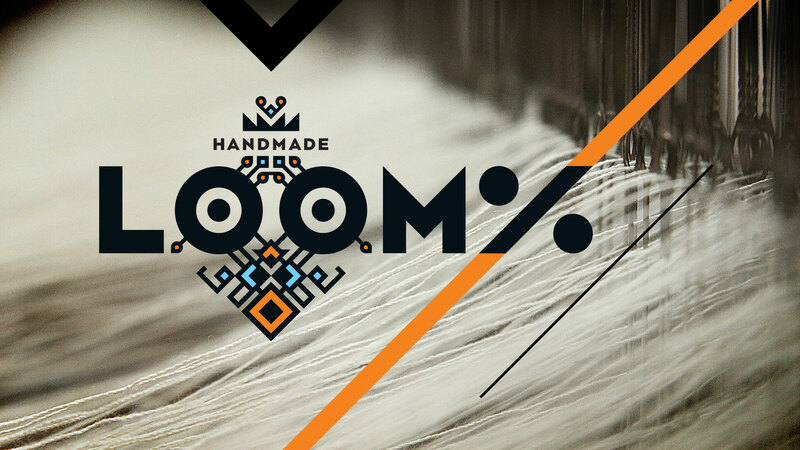 FOR US, LOOM% IS NOT JUST ONE MORE WEAVING WORKSHOP. IT IS A PLACE OF EXPRESSION FOR THOSE WHO SEEK SOMETHING UNIQUE, RARE AND OF HIGH QUALITY. The beginnings of weaving are lost in the depths of human prehistory. Especially in Greece, the plethora of “stone verticils”, that were brought to light by ancient excavations attests to its dissemination since the age of the Neolithic Era. The art of weaving is the cornerstone of civilization and tradition, a chain which actually links one generation to the next! On the contrary, tradition evolves by experiencing the three dimensions of time (past – present – future) and is inextricably linked to the elements that survive over time. So by upholding tradition we preserve our past, and yet add what we create every single day. With the creation of fabric, humans wanted to cover their base needs in clothing. There are two types of Loom in the magical world of weaving. The Vertical loom and the Horizontal one. Here, in Loom% we use the horizontal type for our creations. The setting up of the loom is a very difficult process because it requires stability and perfect calibration so that it won’t get shifted by the moves of the weaver. After the loom has been correctly set, and all the separate components have been assembled with precision, the warp is being added and the loom is ready to begin the weaving of the weft. Our workshop was born in September of 2016 from Anastasia Xenaki and Petros Christoforatos, with sole purpose and objective to bring out the art of traditional weaving through the contemporary needs and demands. In our workshop we combine the patterns of the past with the colors and trends of today, staying faithful to the rules of the art of weaving. All our creations are born in traditional, wooden, manual looms. We use the best materials for their making and we complete the whole process manually and always in collaboration with skillful craftsmen, tailors and tanners.